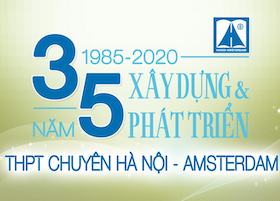 It is only a few days left until scholars nationwide and pupils at Hanoi – Amsterdam High School for the Gifted particularly harmoniously celebrate Vietnamese Teachers’ Day 20/11. 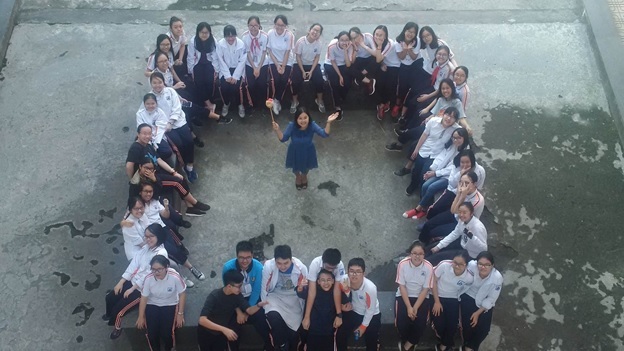 On this significant occasion, let’s listen to the profoundly shared thoughts of a special person – teacher Dang Ngoc Phuong – a former Amser who is currently working at the campus itself as a Literature teacher. Join us as we discover the undisclosed love from our teacher Dang Ngoc Phuong! Reporter: Hello Mrs. Dang Ngoc Phuong, as we were informed, you were a former student of Hanoi – Amsterdam High School for the Gifted in the period between 1993 and 1997 and the period between 1997 and 2000 and have returned to work here at this school again under a new role, what differences have you witnessed between past and present generations of students in general and specifically generations of Amsers? Mrs. Ngoc Phuong: I appreciate your question. That is something I have always conceived and felt day by day. Students of all generations are innocent, naughty and lovable, and students at Ams are always exceptional, astute and unfailingly dynamic. Nevertheless, changes of time bring changes among pupils. Changes are rife, but above all, I am deeply impressed by this difference. In the old times, life was more peaceful and uncomplicated, therefore, scholars were more pure and straightforward, though no less reflective. Life nowadays is certainly more arduous and challenging. Although they are broad-minded, knowing a lot at a very young age, enjoying many achievements and welcoming innumerable opportunities, they are less carefree and more anxious for having to confront with increased pressure. Modern society and their families put more strain on them to perform excellently. Maybe for that reason, they become more fragile emotionally and less decent in their behaviors. It is something that I have always thought about and assured myself that it is my duty to accompany and guide them on their path of acquiring maturity. Reporter: What have you personally acquired throughout your time of studying and working under the roof of Hanoi – Amsterdam High School for the Gifted? 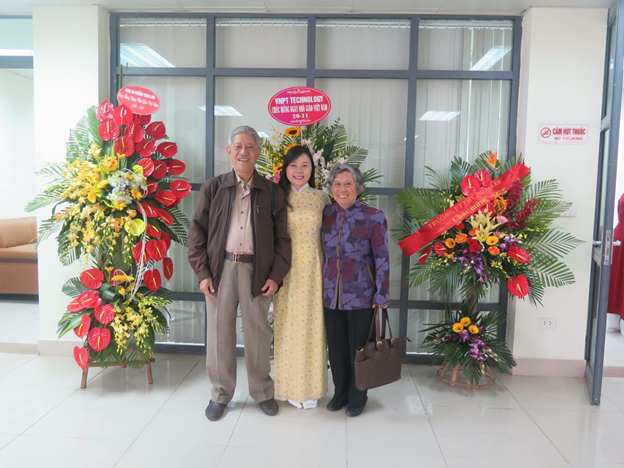 Mrs. Ngoc Phuong: Ams is a phenomenal school, it is my blessing to accompany remarkable colleagues and to have been taught by wonderful teachers who possessed not only specialized skills but also a heart dedicated wholly to their students. All my achievements should be attributed to, if not my family, this special school. Here I have learned how to work and to live. I would never regard myself as an outstanding student of Ams, but I pride myself on being profoundly impacted by the school’s core values: always have faith in admirable and genuine values and strive to form and spread those values. This mindset derived from the pages of all the books I had read as a Literature-major 7-year student at Ams and was constantly instilled in me by those teachers I had met early on, consequently, it became solid and practical. Today, under the role of a teacher, I admit to have experienced adversities in blurring the line between ideal and reality. In today fast-paced complicated society, it is a demanding task to build trust and dissuade students from all those temptation and traps surrounding them. But I remain consistent in believing in the better and working hard as reforms start from the seemingly most trivial actions. Isn’t it true that all journeys begin with a single step? Reporter: Can you share a reason to why after choosing your career as an educator, you desired to continue working and teaching at the school you used to study at? Mrs. Ngoc Phuong: The slogan of Ams is “The genesis of dreams”. I matured from Ams and met better opportunities, more distant horizon. Many people then flew away forever, but there are people who returned to their starting point to seek peace, to multiply and disseminate what they had previously received. I see it as natural as the everlasting cycle of life. For me, Ams is home-sweet-home. 7 years together with Ams was too precious, hence, returning, though not my first choice, turns out to be the best one. As time went by, I gradually felt this clearer. I am indebted to teachers back in those days for having given me the chance to return and devote to our school, guiding me through my first years at work with all of their benevolence. 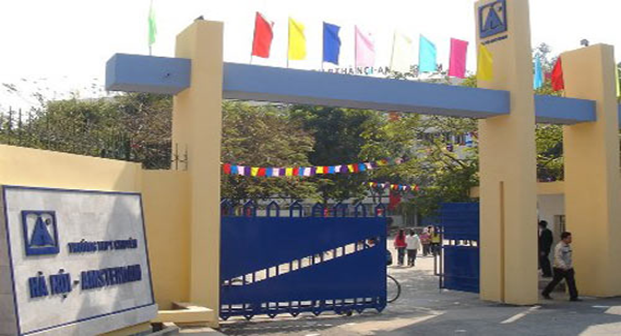 The thought that Ams was the past, Ams is the future, the thought of being closely connected with both the old campus on Nam Cao Street and the new one on Hoang Minh Giam Street gives me the sense of cordiality, security and enchantment. I even dream that my children will be adequately qualified to be welcomed and become a part of Ams, to feel as I do now. “Once Amser, forever Amser” is the most wonderful saying! Reporter: How differently do you feel to celebrate Vietnamese Teachers’ Day as a teacher rather than as a student? Mrs. Ngoc Phuong: Being an educator coincides with being respected by the society, and more importantly, means receiving genuine affection from the children she has taught and is teaching. Feelings towards 20/11 for me as a student was sense of appreciation and excitement. Nonetheless, the way the children expressed their love towards their teacher was simple back then. The most unforgettable memory of mine about 20/11 when I was young would be the time when my close friends and I paid a visit to my homeroom teacher – Mr. Ngo Manh Phu’s house. The gift I had carefully planned, manually chosen and bought with my own money to finally give it to him was nothing other than a cardboard hardcover notebook. Nowadays, I received bunches of flowers and warm greetings from parents and students who have been and are currently taught by me. There are even those who pursued education overseas who send me wishes via messages. There are groups of school boys hiding behind the class door to present me with beautiful flowers. There are grown-up former scholars who still come round to my place and chit-chat until it is late in the evening. Those moments are priceless, motivating me to work harder and all the hardship I have gone through fades away. I am lowkey grateful for having chosen my career as a teacher, for being able to witness my pupils growing up, knowing that I am, even though insignificant, a part of their path to success and lastly for that my Vietnamese Teachers’ Day is full of love and memories! Reporter: Thank you for having shared your fondness towards both your teachers and your students in the most intriguing way. We would like to express our gratitude towards you for having returned and chose Hanoi – Amsterdam High School for the Gifted as your final destination. Again, we treasured your efforts and valuable time spent with us in this small interview! Vietnamese Teachers’ Day is drawing close, we would like to wish our teachers good health, happiness and success on your path of enlightening the youth!